A distinctive feature of the works performed by the company is a fundamental scientific substantiation. 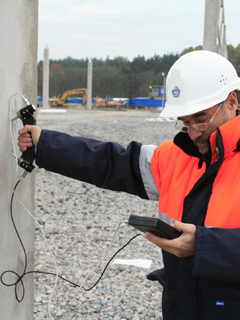 Experts of Engineering Department are doctors and candidates of technical science, possessing unique methods of quality control of engineering structures and buildings. The basis of the works is a complex approach, where not only the actual technical condition of the object is determined, but also the conditions for its further safe operation are analyzed. Moreover, all the necessary technical solutions and recommendations are developed.